This is a concept album as I wanted to start a brand new project with completely new ideas. It is very satisfying to research a subject, write about it as poetry and then find a tune and craft a song. This is what ‘Almost Anglo Saxon’ has mainly been about. I wanted to write some songs about Anglo Saxon life as I am interested in the history. Also I wanted to explore a more historical approach to making the music. Nothing remains of Anglo Saxon music. They had certain instruments that we can be sure of, but no one knows what type of music they were playing, and so this gave me the freedom to just write songs as I like to and not look to any particular influence. If a tune moved me and sat with me, I would use it if I was sure it was ‘original’ enough. I don’t listen to any folk music really so just followed what I thought sounded authentic and pretty simple. I like to think each song tells a story and gives some insight into the human condition all those years ago. Included on the album are tracks called: The Song of Wayland Smithy, The Hidden Hoard, Dragon Ships, Wassail The Night, Feel Love, Ethelred – The Unready Blues, The Ballard Of St Margaret, The Minstrel’s Song and Vortigern’s Surprise. In an attempt to deconstruct what we understand as ‘music’ we have used our imagination to visualize what Anglo Saxon musicians may have been inspired by, with modern day recording techniques. Thus we have sampled wolves, owls and other birds. The wind, the sea, bells, anything that we feel is appropriate to the song. Yet I have also included things that please me – we are not Anglo Saxons – the ‘Almost’ in the title gave me permission to sense the songs from a modern perspective. The aim of this project is to entertain and educate. This project is also a testament to the skill of the sound engineer, Steve Spon, and proof that a simple concept can be such a lot of fun and be well received by music lovers of all types. This album is available straight from the suppliers – TEN Awe-inspiring tracks price £10 plus postage and packing! Swirling and Whirling – A song about women’s magic! Ethelred The Unready Blues – The ruler who consistently got things wrong! Through the Eyes of An Eagle – A simple love song, based on characters from far off days. 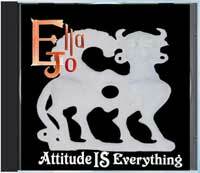 This is a collection of lyrics from the Album Limits Of Milkweed which was released by Ella Jo in 2009. The book contains a section called The Stories Behind The Songs. It gives credit to the co-writers, Terry Bartlett and Steve Spon and an insight into the moods and issues, which influenced the song writing. The book is semi auto-biographical as well as containing modern urban poetry which has been ultimately set to music. 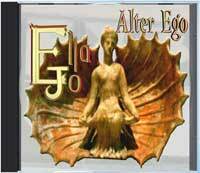 Following the Soul’s whisper, Ella Jo reflects on the world and refuses to be beaten. On this album serious issues interweave with the joyous stuff of dreams. ‘Melodic nutrition for a runway to the stars’.